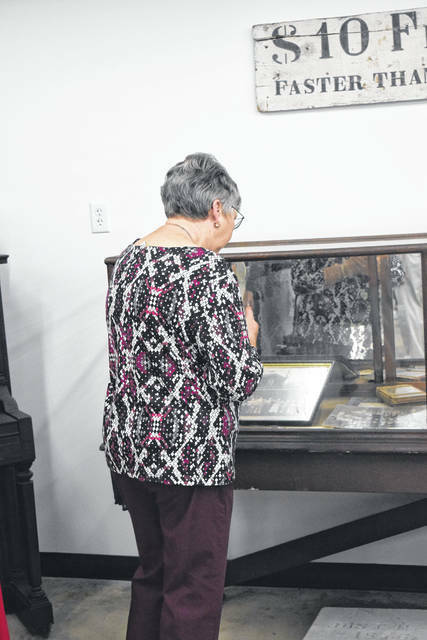 After receiving a grant in the amount of $50,000, the Preble County Historical Society (PCHS) renovated its exhibit hall. The organization held a dedication ceremony and ribbon cutting during the hall’s grand reopening on Friday, Sept. 21. 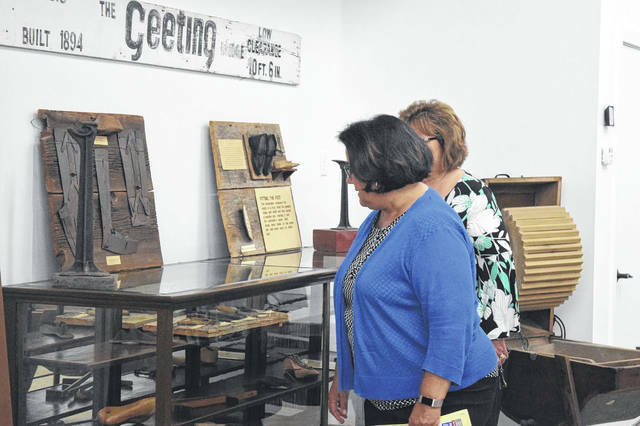 EATON — After receiving a grant in the amount of $50,000, the Preble County Historical Society renovated its exhibit hall. 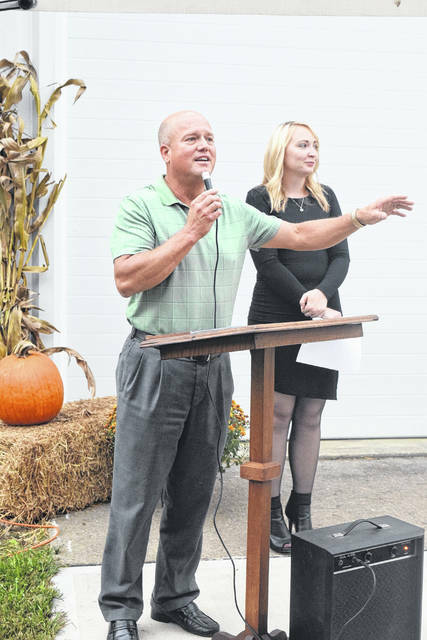 The society held a dedication ceremony and ribbon cutting on Friday, Sept. 21. 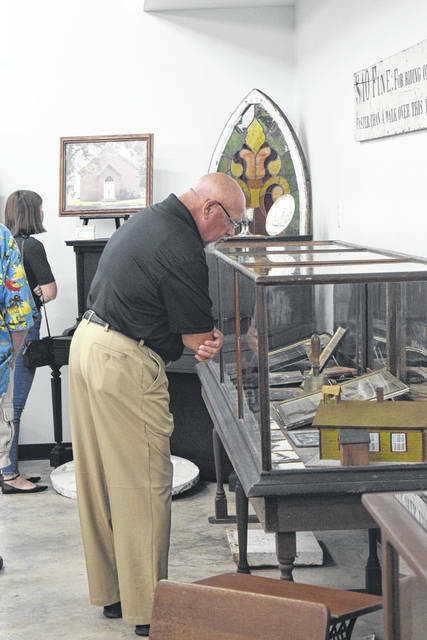 In addition, the Sayler-Swartsel House was open for tours and there was a whiskey tasting with a presentation on the history of Indian Creek Distillery. 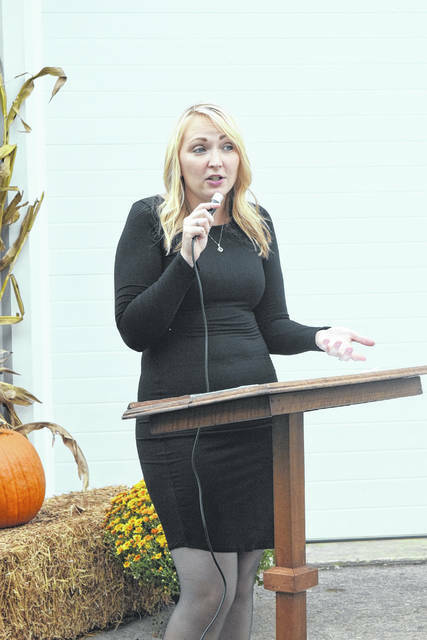 PCHS Director Misti Spillman opened the dedication ceremony by thanking people and businesses who contributed to the renovation. “This project started last fall. The board and I made a list of projects and we decided to renovate the exhibit hall. After the holidays came the task of moving everything out. All of the textiles and documents were moved to the Swartsel House to be cleaned. 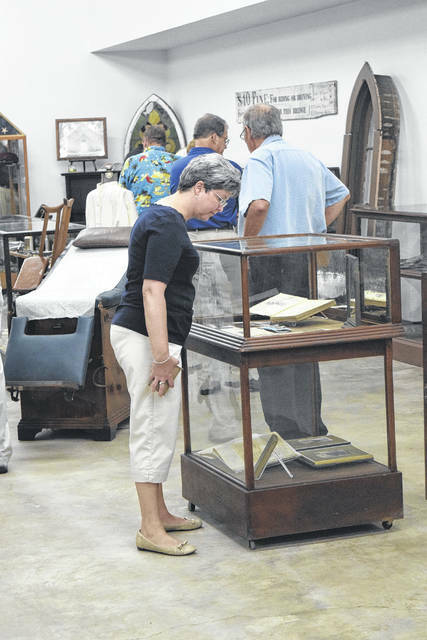 It was a task to remove the musty smell and the mold off of the artifacts,” she said. “When you go through the exhibit hall today, you will see familiar things and new things. 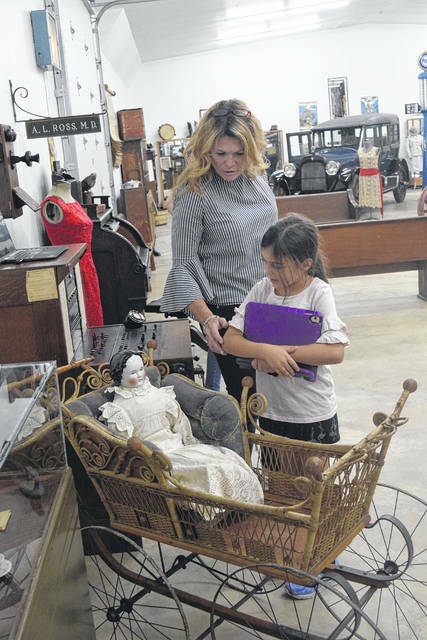 New things include artifacts from the Sara Swartsel family, because if it was not for her the society would not be here today,” Spillman said. Progress is still continuing on the exhibit hall — one project yet to be completed is labels for all of the artifacts. “History is not something obscure or unimportant. History plays a vital role in our everyday lives. We learn from our past in order to achieve greater influence over our future. History serves as a model not only of who and what we are to be, we learn what to champion and what to avoid. Everyday decision making around the world is constantly based on what came before us,” Spillman said. Board member Harold Niehaus took the stage to commend the exhibit hall and Spillman for all of her hard work, prior to the ribbon cutting and opening of the exhibit for tours. 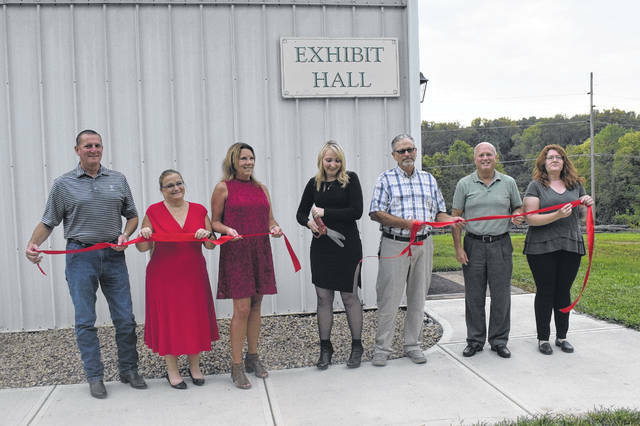 https://www.registerherald.com/wp-content/uploads/sites/41/2018/09/web1_PCHS3.jpgAfter receiving a grant in the amount of $50,000, the Preble County Historical Society (PCHS) renovated its exhibit hall. The organization held a dedication ceremony and ribbon cutting during the hall’s grand reopening on Friday, Sept. 21.